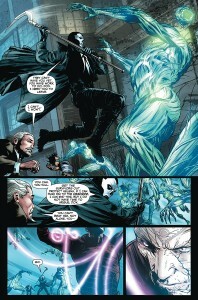 3-Page Previews: SHADOWMAN VOL. 1: BIRTH RITES TPB is VALIANT’s Next $9.99 Trade Paperback! « DARK HORSE CELEBRATES THE NEW EDITION OF WILL EISNER’S LAST DAY IN VIETNAM WITH A SERIES OF EVENTS IN PORTLAND! Valiant is proud to announce that the Shadowman Vol. 1: Birth Rites trade paperback collection will debut on April 24th at just $9.99! Previously solicited at $14.99, the Shadowman Vol. 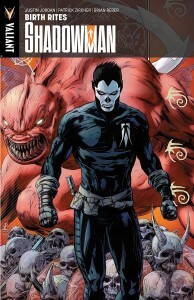 1: Birth Rites TPB collects the first four issues of Valiant’s best-selling Shadowman series by acclaimed creators Justin Jordan (The Strange Talent of Luther Strode) and Patrick Zircher (Captain America) and joins the rest of Valiant’s volume one collections at the special introductory price of $9.99. Start reading here to the witness the rise of New Orleans’ next nocturnal protector as Shadowman meets the forces of the Deadside head-on and makes an indelible impression on the Valiant Universe. And don’t miss the other introductory volumes in Valiant’s line of specially priced $9.99 trade paperback collections – X-O Manowar Vol. 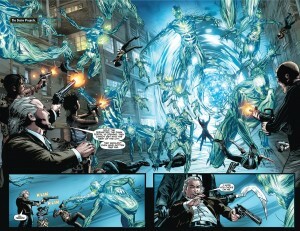 1: By The Sword TPB, Harbinger: Vol. 1: Omega Rising TPB, Bloodshot Vol. 1: Setting the World on Fire TPB, Archer & Armstrong Vol. 1: The Michelangelo Code TPB – available in finer comics shops everywhere! For more information on Shadowman, X-O Manowar, and the rest of the Valiant Universe, visit Valiant on Twitter, on Facebook, or at ValiantUniverse.com. 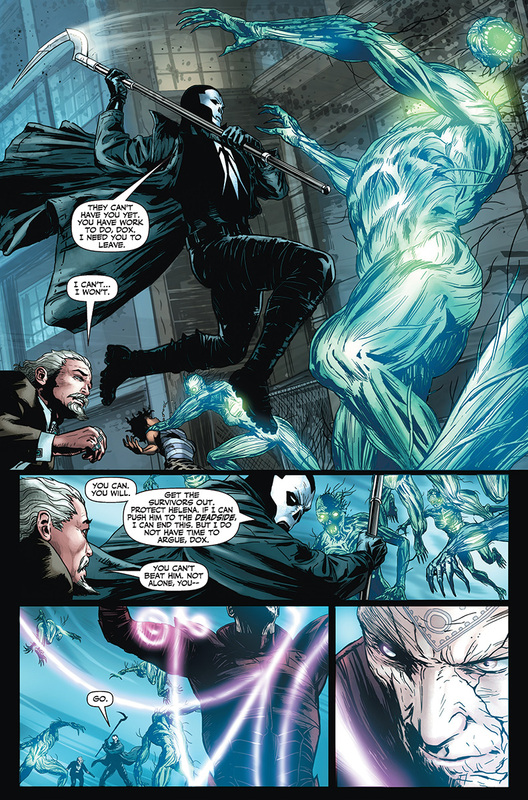 This entry was posted in Columns and tagged archer & armstrong, birth rites, bloodshot, HARBINGER, Justin Jordan, omega rising, patrick zircher, shadowman, VALIANT COMICS, X-O- MANOWAR. Bookmark the permalink. Follow any comments here with the RSS feed for this post. Post a comment or leave a trackback: Trackback URL.